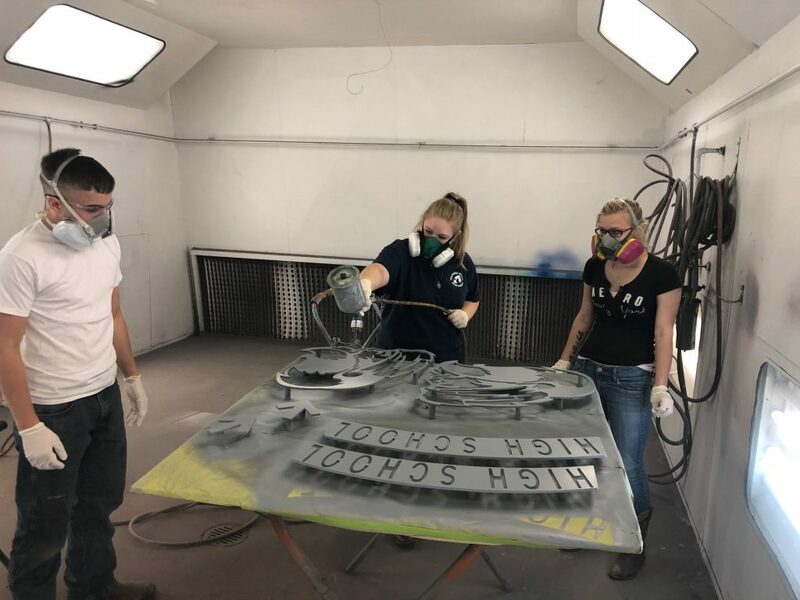 The Collision Repair Technology Program provides students with the skills, knowledge, motivation, and work ethic to begin working in entry-level collision repair positions or to continue education at a post-secondary institution. The main components of the program are appropriate use of hand and power tools, welding, minor body repairs, and interior trim and upholstery. 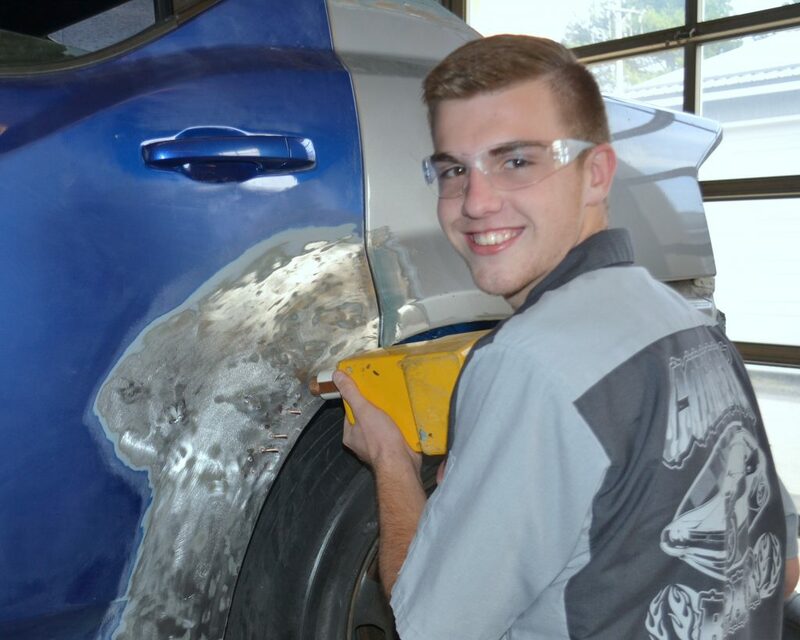 Advanced students study major body repairs, glass door service, electrical systems, refinishing, and cost estimating. Students are also instructed on frame equipment, front-end alignment, and computer training. The collision repair industry is growing larger each year. It is rapidly becoming a $30 billion-a-year industry. It is not directly affected by the ups and downs in the economy; therefore, it does provide steady work. Yearly earnings potential can be in the range of $18,000 – $60,000, depending on skills, experience, type of work performed, and geographic location. Fringe benefits vary widely. Pay may be based on an hourly wage, on a percentage of the amount charged, a percentage of the team output, or a combination of these payment structures.